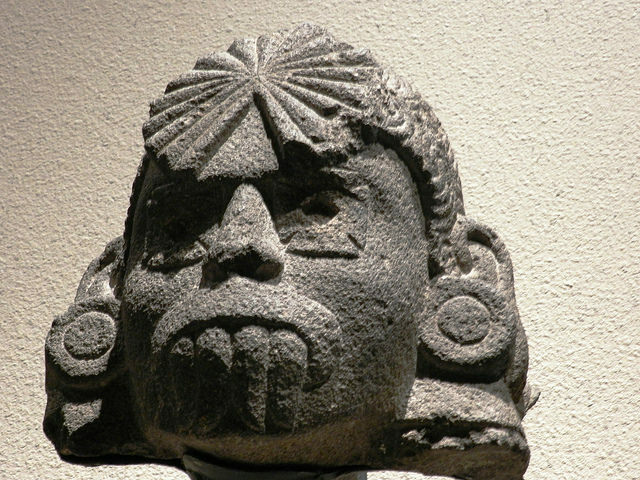 Anthropology is often associated with the study of ancient civilizations and lost cultures. "With the growth of big data in the last few years, there has been a focus on analytics to understand user behavior. Companies have data science teams tasked with analyzing server logs to understand what the users did: tracking sessions of users as they move through the software, understanding feature utilization, etc. Data provides an incomplete picture. It tells you what the users did, but it's unable to tell you why." Behavioral specialists can read body language and interpret the nonverbal cues that otherwise might be lost in a written response or checkbox. A person-centric view can complement IT. Every good business leader understands that, to grow a successful company, you have to "know your customer". But how exactly do you know them? Grab a bunch of statistics? Maybe. But that probably isn't enough, according to Amy Wilson, Head of Product, SAP SuccessFactors. As part of a new approach to user interfaces, Wilson's company pulled designers together with behavioral scientists with backgrounds in cultural anthropology. The goal was to help the designers better understand the way most individuals intuitively work. This way, even while high-design was still a priority, the designers could make a product users wouldn't have to adapt to. Wilson says that it's not new for SAP Successfactors to incorporate user-focused research into their solutions. Recognizing that enterprise technologies often don't match the expectations created by home options like Siri or Alexa, her company's studies are all about closing the gap so work is less frustrating and more productive. And that means going beyond just numbers. "With the growth of big data in the last few years, there has been a big focus on using analytics to understand user behavior," Wilson says. "Software companies (both enterprise and consumer) have large data science teams who are tasked with analyzing server logs to understand what the users did: tracking sessions of users as they move through the software, understanding feature utilization, etc. Data does provide important usage analytics, but it's an incomplete picture. It tells you what the users did, but it's unable to tell you why. "For example, we did a study recently where we found that several users abandoned a task. The data was telling us that users didn't complete the task, but it didn't shed any light on why they were unable to complete it. We sat down with several users and found that they didn't complete the task because they were unable to find the 'save' button. It was an easy fix, all we needed to do was enhance the visuals of the save button, but without observation and interviews we would not have been able to isolate the issue." That word--observation--is really what you should pay attention to. Even if users were to write exactly what they'd tell you in person, when behavioral specialists talk with your users face-to-face, they can get more information than what the users would leave on the page. They can read body language and interpret the nonverbal cues that otherwise might be lost in a written response or checkbox. work experience, engagement and productivity--that is, human sciences can complement IT services. But human sciences can go well beyond technology, too. For example, take marketing and Burger King's famous "creepy king" mascot from the early 2000s. Metrics easily could show you that the use of the mascot didn't really do much to sell fast food. But only watching customer reactions could tell you just how much the mascot unnerved people, and only more in-depth, culturally inclusive talks with customers really could pinpoint exactly what was so disturbing about the mascot's pop-up-anywhere behavior, especially for women and kids. The bottom line is, we never should be so driven by data that we stop seeing the people that the data represents. We should not fool ourselves into believing we "know", simply because we have a metric. There's a bigger picture that a lot of modern tools simply can't put together for you. And it means that, if you want to "meet users where they are", you literally need to meet with them. To watch what they do and offer the proverbial penny for their thoughts. And when they give you an honest answer, don't be afraid to hear something you didn't at all expect.